Absolutely loving this upholstery course I’m on and thought I’d share my latest project with you. As usually happens, the Moregeous rotational system of furnishing has meant our oak kitchen chairs have disappeared into a tenant’s flat! Rather than buy some more, I’ve rescued 4 rather dilapidated chairs from the Cellar of Shame and am mastering the skill of taking them apart and putting them back together again – properly. 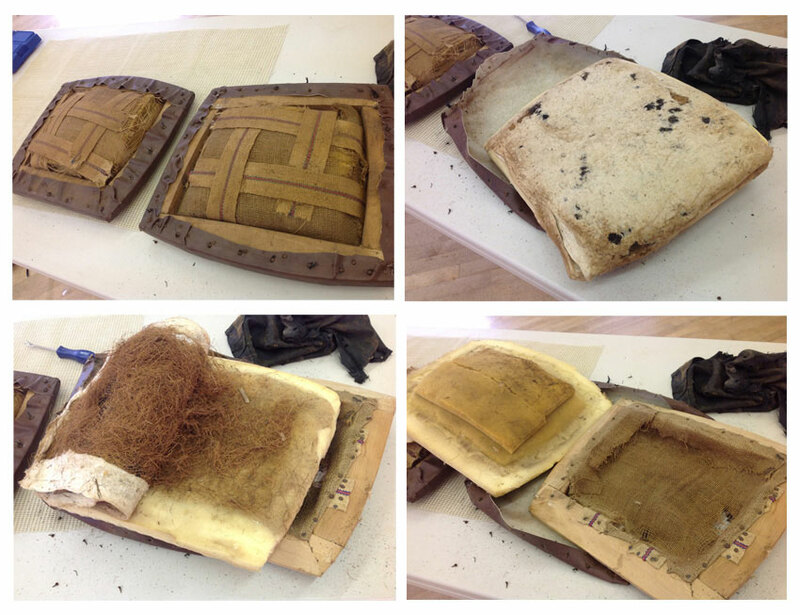 As you can see below, the webbing had rotted away, meaning very saggy bottoms. 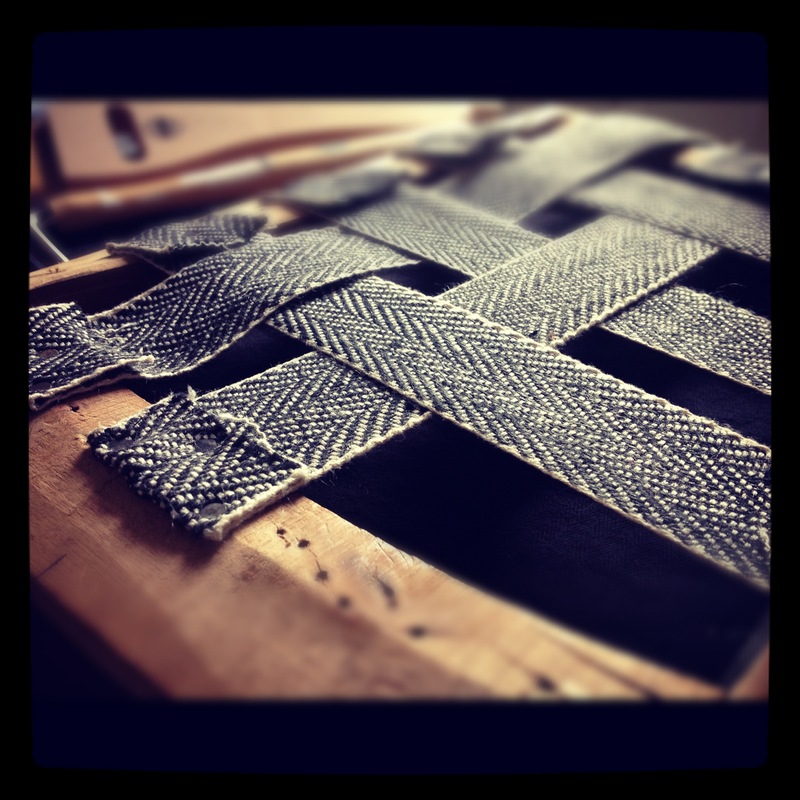 It was fascinating seeing how the chairs had originally been made…. And so to putting them back together. 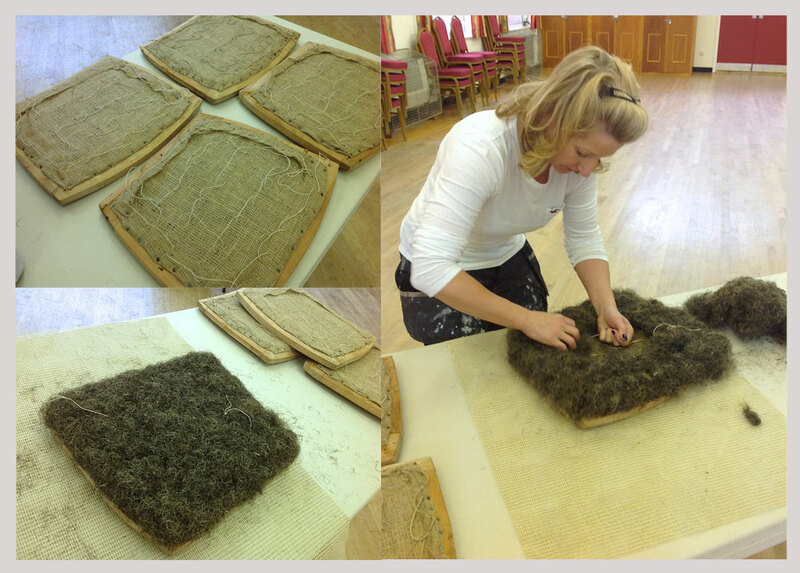 I’ve learnt how re-web the chair bases, do slip knots & bridal ties and the quite hard-on-the-hands process of stuffing the chair with hair to create an even, comfortable pad. It’s brilliant!